“Mine likes seeds!” said one boy. “Mine likes beetles!” said another. “Mine is trying to eat the other chicks,” said Sally. One of these chicks is really not like the others. 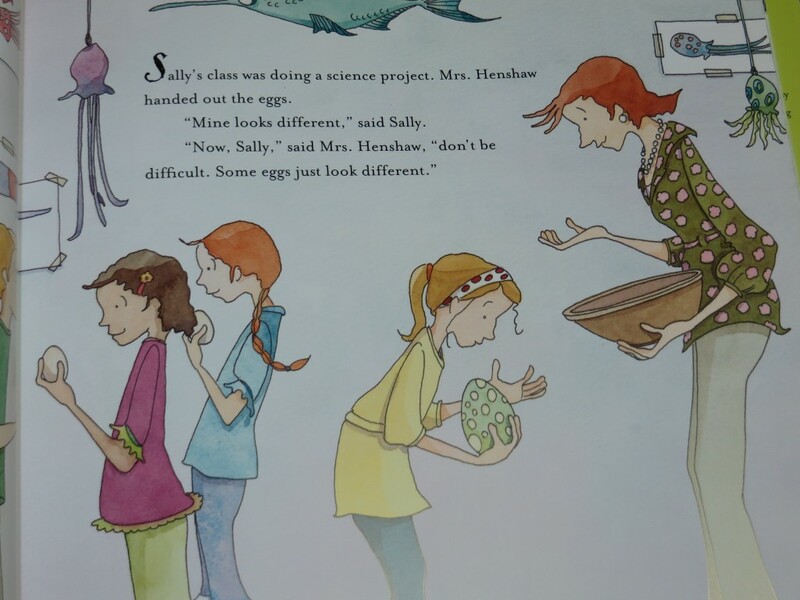 But every time Sally tries to point this out, her teacher simply tells her not to be difficult. While the teacher’s careful refusal to acknowledge the elephant (dragon) in the room is increasingly absurd, Sally begins to love her “chick” despite the many challenges it presents. Ultimately, this sweet, dryly funny book is about differences, unpredictability, and loving the one you’re with.